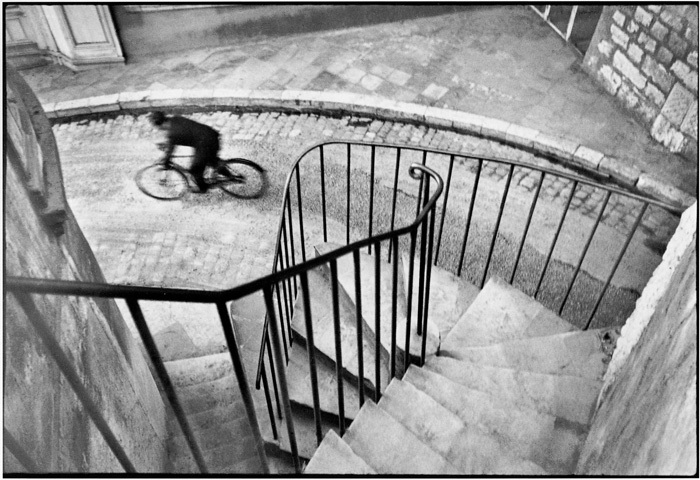 If Henri Cartier-Bresson isn’t my favorite photographer, he’s certainly in the top two or three. And while many of his images don’t speak to me, those 20 to 25 that do continue to amaze. 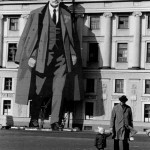 If ever there was a genius in 20th Century photography, it was this man. 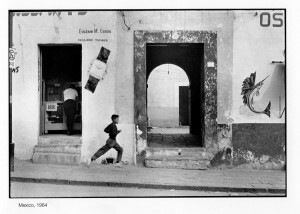 The most well-known photographic concept attached to Cartier-Bresson is, of course, the idea of the decisive moment. 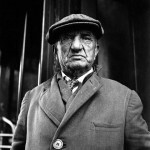 With one image — Behind the Gare Saint-Lazare, Paris, France (1932) – he taught us that if one captures a subject at precisely the right instant, one can shatter normal life to retrieve a transcending moment. The location of the right heel of the man jumping from the ladder in Behind the Gare – so perfectly timed – reveals an unseen world, flashing before our eyes, normally veiled by the flow of time. The inspiration is a simple one: it is up to the photographer to search out that moment and seize it with his or her camera. And though the challenge can be daunting, there is some comfort in knowing that if your timing is off, if you’re just a little too early or late, or if some other component is slightly off — exposure, sharpness, composition — you really don’t have a choice, it’s simply not good enough, you’ve failed. In other words, a little can be a lot; Behind the Gare wouldn’t have worked had it been shot at any other instant. 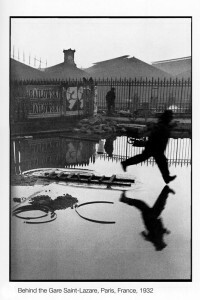 Like many of Cartier-Bresson’s images, there’s more going on in Behind the Gare than perfect timing. Too much has been written about this elsewhere to spend much time on it here. But three often-noted ironies are: the playful dancer on the poster in the background, providing a counterpoint to the rigid Everyman walking on water; the ladder from which the man springs, mimicking the railroad tracks of a station; and the play on words arising from the “Railowsky” poster appearing in a railway station. 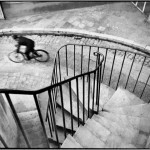 Regardless of how much time Cartier-Bresson waited to capture the image we see in this photograph, the setting is a good example of what I’ll call a “waiting stage.” Sometimes, as we walk through the world, we come upon a scene that is ripe for something special; all that is needed is an actor to enter and hit the mark in our mind’s eye. So it is with Behind the Gare. The dancer, the ladder and the Railowsky pun were already there, static props, waiting with Cartier-Bresson for the running man to appear. Another waiting stage can be seen in the photograph, Mexico, 1964. To most people walking down the street shown in this image, the wall probably didn’t catch the eye. But Cartier-Bresson, schooled in the sensibilities of Surrealism, saw something other-worldly in such items as the suspended watch, swordfish, and symbols at the top right of the image. Again, all that was needed was a subject, properly placed, to send the wall into another dimension. Like the running man in Behind the Gare, the running boy in this image was probably previsualized by Cartier-Bresson; and like the running man, the boy was captured at just the right time: his head is perfectly placed in the lower left corner of a rectangle where the vertical line dissects the head while the horizontal line holds up the chin. 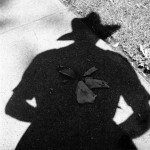 As with so many great photographs, the more one looks, the more one sees. Like the swordfish, the boy is in motion, yet he also belongs on the wall, precisely where he is, while the watch floats above, freezing the time at ten past ten. Because the boy, swordfish and watch are equally sized, the image takes us out of the ordinary world. 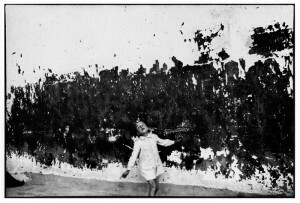 Behind the boy is a room with a man defying the vacancy sign to his left, and in front of the boy is an entrance containing frames with frames within frames. Foreground and background merge into a dreamlike vision where life (the boy) and object (the drawings) co-equally inhabit some strange Semiotic and Surreal plane; one which surely would have put a smile on Dali. 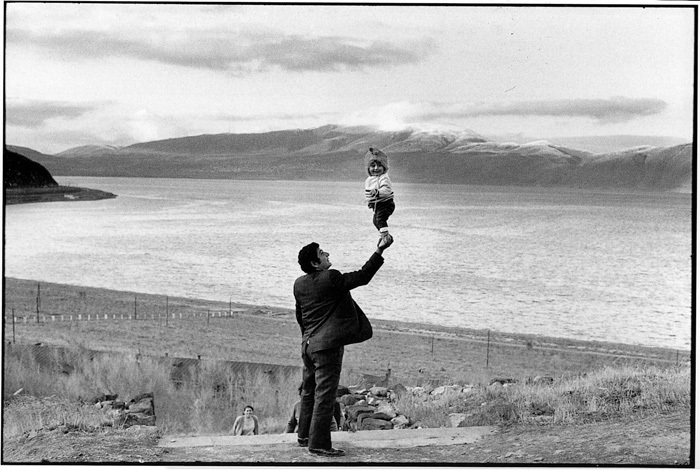 In Armenia-USSR, 1972 Cartier Bresson uses the subject, a little girl standing on a man’s outstretched hand, to turn a dynamic waiting stage — the natural canvas of water, mountain and clouds behind the girl — into a static painting. And in Valence, Espagne, 1973, he does just the opposite. 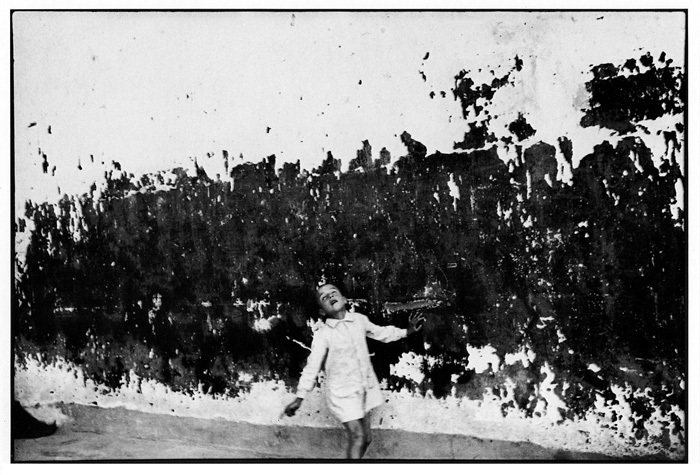 By capturing a boy who looks off balance, Cartier-Bresson turns the static wall behind the boy into something dynamic, the illusion of an explosion. 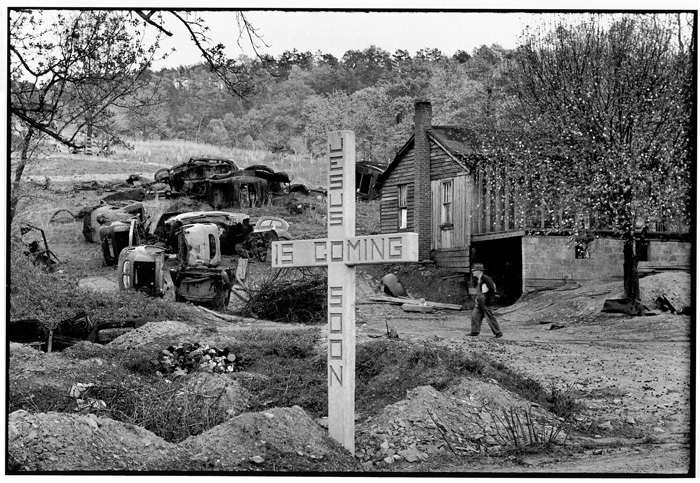 While the photographer may or may not have stood by that wall, waiting for the right subject to appear, the end result defines many a Cartier-Bresson: subject and background unite in a way that takes the image out of ordinary experience. In short, the transcending power lies not in the subject or the background, but in their relationship. 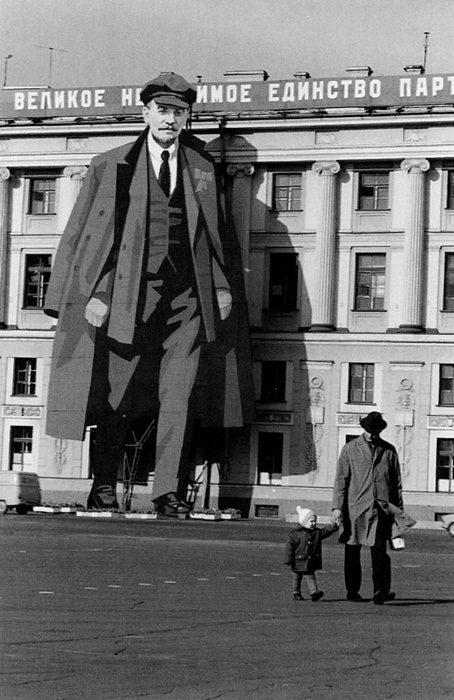 Immediately below are six additional waiting-stage images which, though tamed by the passage of time, still inspire one to rush out to a museum or search for larger-than-life advertising. 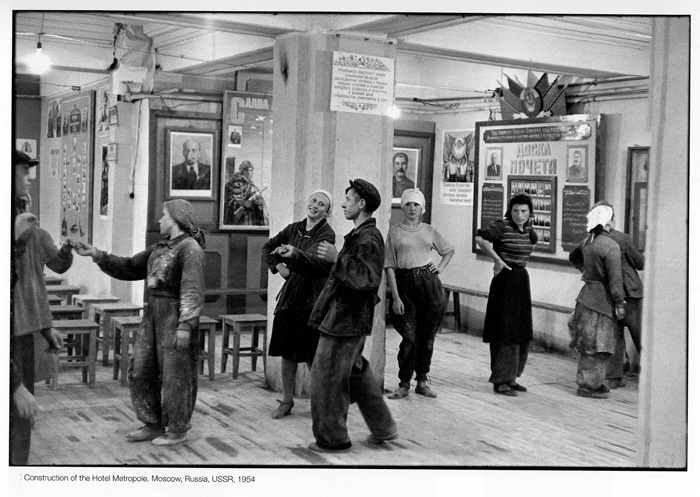 In the top row, the first image shows three billboard characters playfully watching a man smoke a cigarette; in the second, leaders of Russia, framed on the walls of a room, play Big Brother as they spy on the working-class inhabitants; in the third, a statue looks down on museum visitors who appear to be locked in a staring contest with another statue. In the bottom row, the first image turns Lenin into an ominous stalker; in the second, a man walks from a heavenly setting (on the right side of the cross) toward a more hellish environment; and in the third image, spiraling steps neatly complement a cyclist in motion. 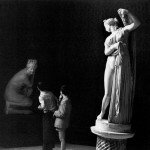 As reflected by the above museum image, and as made clear by the work of such great street photographers as Elliot Erwitt, museums are ripe for the waiting space. 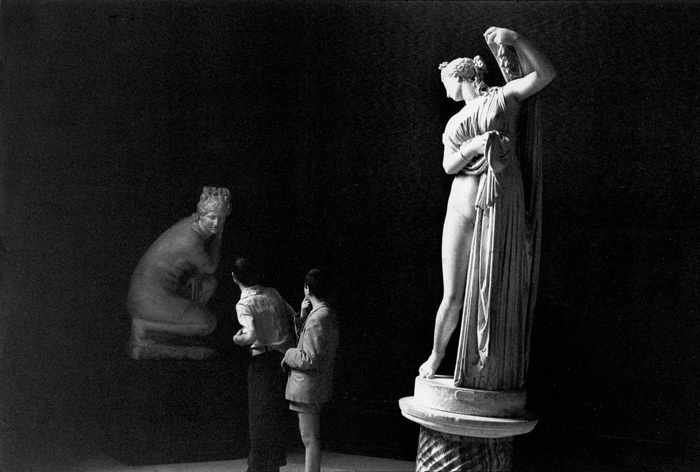 They often provide clean, geometrically-interesting backgrounds with statues, paintings, and sculptures ready for animation or irony — and the good news is, many museums allow photography. 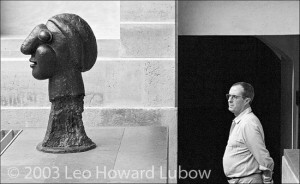 Below is an image I captured in the Picasso Museum in Paris, 2003. 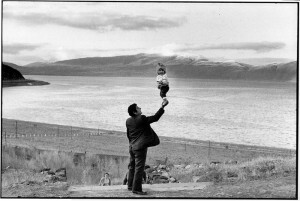 Had I not been familiar with the images of Cartier-Bresson, I’m not sure I would have taken the shot. Regardless of its merits, one fact is certain: to my eye, the setting was an excellent waiting stage. The bust presented possibilities of irony; the clean wall and lines behind the bust presented a nice contrast to the dark entrance on the right; and the entrance itself, neatly obeying the rule of thirds, provided perfect framing for someone to enter. That someone appeared five minutes after I began waiting. As soon as he stopped, I took my shot and moved on. 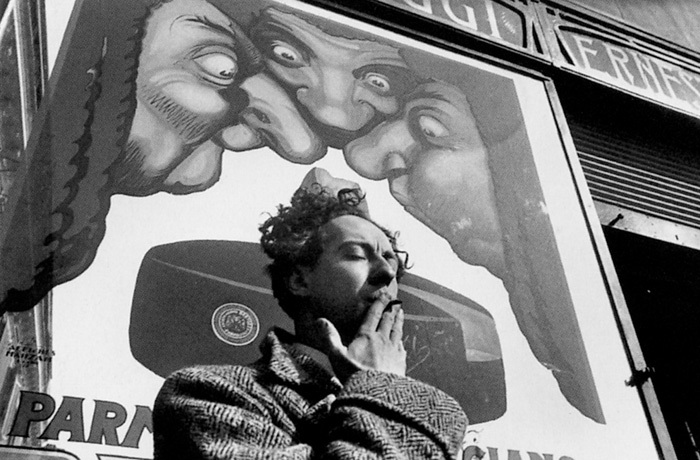 More often than not, in the best of the Cartier-Bressons, the background is every bit as important as the subject. It doesn’t provide a harmony, but rather, its own melody — one that competes in a way that turns the result into something transcending. And while not every background is a waiting stage, you might find the idea of the stage helpful if you’re a photographer, prowling the streets, looking for the next shot. 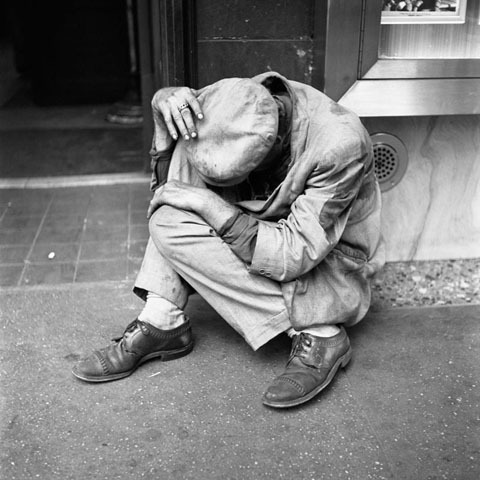 Imagine going to an auction and purchasing a repossessed box of film, only to later discover you’ve bought 30,000 negatives created by an unknown woman who promises to be one of the great street photographers of the 20th Century. That’s exactly what happened to John Maloof, a 29-year-old real estate agent who made his purchase in 2007, hoping he might find some vintage images for a book on a Chicago neighborhood. The master Maloof discovered was Vivian Maier, a former nanny who died in obscurity not too long thereafter — at the age of 83 in April 2009. Ironically, it was just about that time that Maloof seemed to have fully appreciated the treasure he was sitting on. Although it was too late to contact Maier, it wasn’t too late to become her champion. Seized by the excitement of having discovered a great artist, Maloof diligently searched out more of Maier’s work, and began to promote her genius. 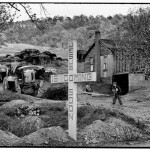 As a result, he now owns no less than 100,000 Maier negatives, most of which have never been seen by the public, and many of which await development. Although Maier has been a story for some time, I discovered her only recently, when a friend sent me an email promising to lead me to a collection of “amazing photographs.” I’ve received many such emails over the years, and while I’ve often enjoyed the result, I’ve never been amazed – until now. Vivian Maier is quite a force. 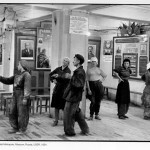 A recluse who apparently was loved by those few who knew her, she took to the streets with her camera during the second half of the 20th Century. The result is a collection of perfectly-exposed images that sharply capture the times in beautiful black & white. 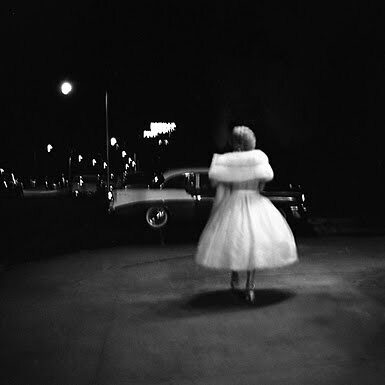 While the subjects vary, her portraits of random encounters are among her strongest images. 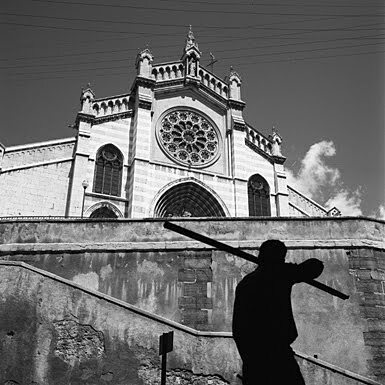 In these we see isolated individuals — sometimes posing, sometimes observing, sometimes lost in thought — belonging precisely where we find them, in well-composed settings (usually slices of the city) that add to the story. Looking at Maier’s images makes you feel like you’ve traveled through time to a place far far away — and it is this nostalgic fermentation which surely is part of the charm. But the faces painted across her canvas — noble faces, fragile faces, faces of concern, anger, surprise, hubris, bemusement, concentration, joy, pain and quiet desperation — speak to a timelessness of condition common to all generations. 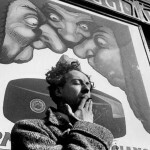 In Maier, we also see something of the chameleon at work. While her eye, sensibility, and technical expertise is that of a master, I wonder about her aesthetic, that special signature that sets her apart. 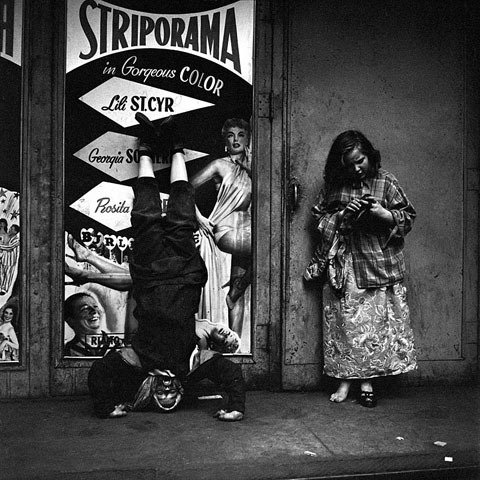 I’m sure that it’s there, but for now, as I continue to explore her images, I can’t help but see the style (if not the influence) of others — the street drama of a Helen Levitt, the humor of an Elliott Erwitt, the compositional geometry of a Cartier-Bresson, the conscious voyeurism of a Lee Friedlander. To be clear: this isn’t a criticism; few photographers are so multidimensional. 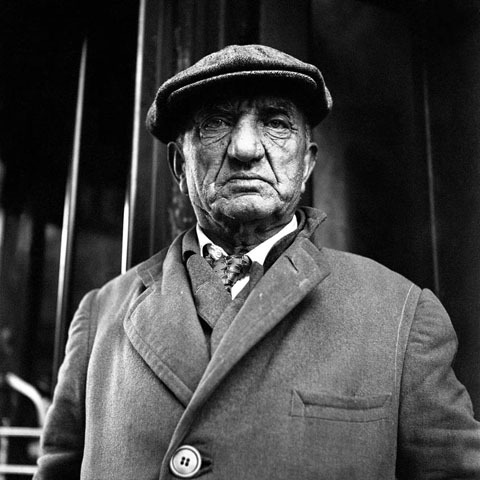 Another master who comes to mind is, of course, Diane Arbus. 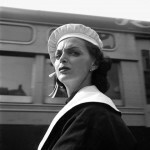 While Arbus appears to have had the darker vision, both women appreciated the Absurd, sharing an existential sensibility that surely inspired them to seek out souls caught in a moment of isolation. 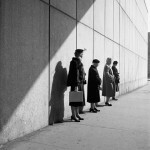 And as others have noted, there’s also Lisette Model, who may have been a direct influence. If you’re a lover of street photography, I strongly recommend that you explore Maier when you have some quiet time. 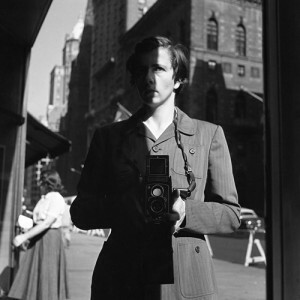 John Maloof’s website, simply titled, Vivian Maier, is a good place to start, as is the always excellent New York Times LENS.